Our objective was to examine if Medicaid/Medicare health insurance and household income were associated with poorer outcomes after primary total hip arthroplasty (THA). We used multivariable-adjusted Cox regression analyses to assess whether insurance payer type and household income were independently associated with health care utilization outcomes or complications post-THA in a cohort of hospital discharges from the 1998–2014 US National Inpatient Sample, adjusting for demographics, underlying diagnosis for THA, medical comorbidity, and hospital characteristics. 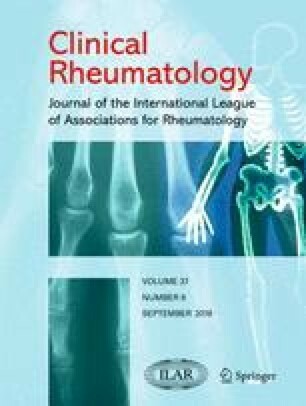 In a national cohort of 4,116,485 primary THAs, the mean age was 65.5 years, 57% were female, 87% White, and 83% had osteoarthritis. Compared to private insurance, patients with Medicaid had significantly higher hazard ratio (HR) (95% confidence interval (CI)) for hospital charges above the median, 1.18 (1.15, 1.21); discharge to a rehabilitation/inpatient facility, 1.67 (1.62, 1.72); length of hospital stay > 3 days, 1.62 (1.58, 1.67); and in-hospital post-operative complications including infection, 1.70 (1.47, 1.97); transfusion, 1.13 (1.09, 1.16); revision, 1.55 (1.32, 1.82); and mortality, 1.89 (1.35, 2.63). Results were similar for those with Medicare payer status. Compared to the highest quartile, the lowest income quartile was associated with significantly higher HR (95% CI) of hospital charges above median, 1.43 (1.41, 1.45), and a lower HR of discharge to a rehabilitation/inpatient facility, 0.78 (0.77, 0.79); hospital stay > 3 days, 0.82 (0.80, 0.83); infection, 0.57 (0.50, 0.65); and transfusion, 0.80 (0.79, 0.82). The association of Medicaid/Medicare insurance and income with post-THA health care utilization and complications implies that a better understanding of underlying reasons is needed to improve post-THA outcomes. There are no financial conflicts related directly to this study. JAS has received research grants from Takeda and Savient and consultant fees from Savient, Takeda, Regeneron, Merz, Iroko, Bioiberica, Crealta/Horizon and Allergan pharmaceuticals, WebMD, UBM LLC and the American College of Rheumatology. JAS serves as the principal investigator for an investigator-initiated study funded by Horizon pharmaceuticals through a grant to DINORA, Inc., a 501 (c)(3) entity. JAS is a member of the executive of OMERACT, an organization that develops outcome measures in rheumatology and receives arms-length funding from 36 companies; a member of the American College of Rheumatology’s (ACR) Annual Meeting Planning Committee (AMPC); Chair of the ACR Meet-the-Professor, Workshop and Study Group Subcommittee; and a member of the Veterans Affairs Rheumatology Field Advisory Committee. JAS is the editor and the Director of the UAB Cochrane Musculoskeletal Group Satellite Center. JDC has no conflicts. The study was approved by the Institutional Review Board (IRB) at the University of Alabama at Birmingham (UAB).